The friendly accountants - How refreshing! What do we do? 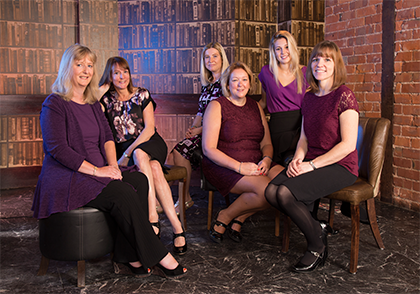 Well, all the usual services you would expect from a firm of accountants – with a refreshing twist… It’s always our aim to make it enjoyable, rewarding and great value. Otherwise, what’s the point? and business advisory services will keep you and your business perfectly on track. Need help with your accounts, VAT or Self-Assessment? Come and have a chat about our range of fixed price standard services designed to keep you and your business on track. More. Our audit and assurance services are designed to protect shareholders and keep you in control – but we make sure you get added benefits from every audit visit. Discover more here. Payroll and bookkeeping can be a real hassle for many business owners, keeping you away from the important elements of running the business. Try our Bookkeeping and Payroll services and feel the freedom! Click here or call now on 01625 524127. Running a business can be a big challenge and there will often be times when you need some expert help and advice. Our Business Planning and Support team is always available to give you the benefit of vast experience and invaluable expertise. Click here or call now on 01625 524127. Need help with your accounts, VAT or Self-Assessment? Come and have a chat about our range of fixed price standard services designed to keep you and your business on track. Payroll and bookkeeping can be a real hassle for many business owners, keeping you away from the important elements of running the business. Try our Bookkeeping and Payroll services and feelthe freedom!